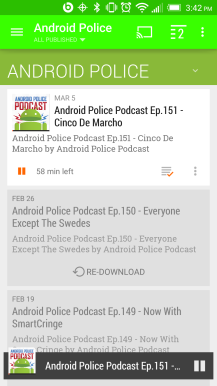 In an interesting twist, BeyondPod, a podcast manager that has been around since seemingly the beginning of Android, has been removed from Android Auto. This isn't entirely surprising - prior to this April, it hadn't had a public update in two years, and people had been complaining about the huge amount of bugs. 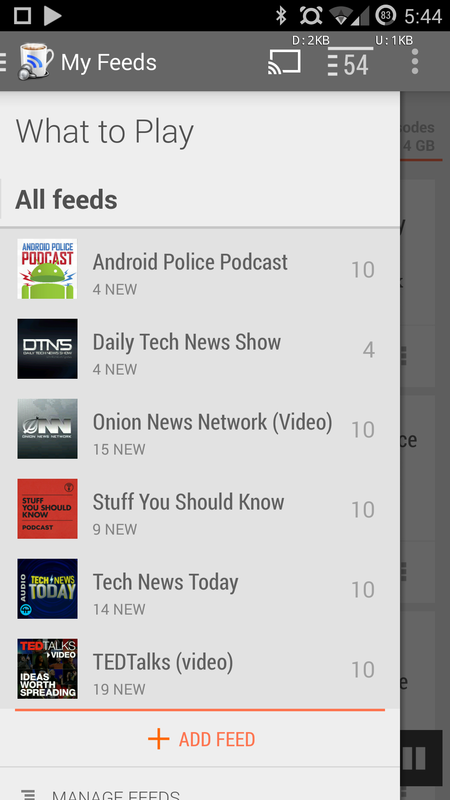 BeyondPod has been one of the top podcast managers on Android for ages thanks to its robust feature set. However, development seems to have hit something of a rough patch. 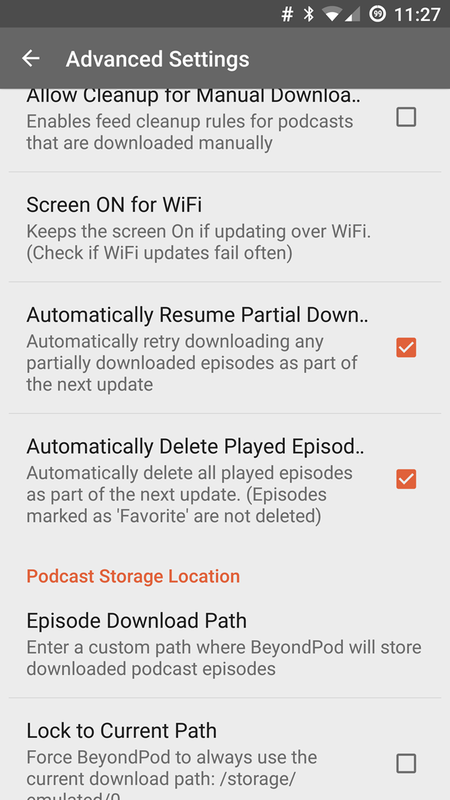 Users have been complaining about a beta release that's hopelessly broken for months, and it's been well over a year since the Play Store version has been updated. 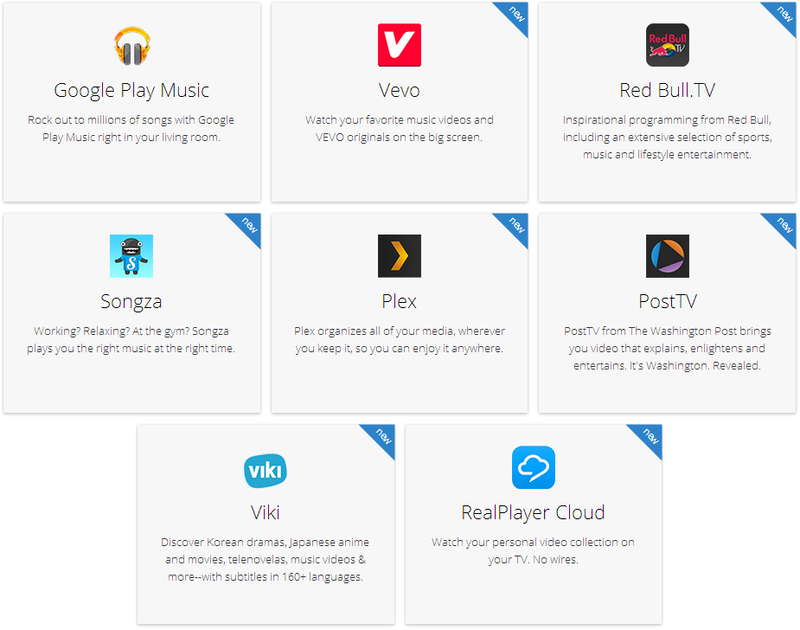 Collectively, the userbases for Android M and Android Auto have to represent only a tiny fraction of the total users of Android. But those people are also the most dedicated Android fans, so any developer hoping to get attention from power users would do well to consider them. 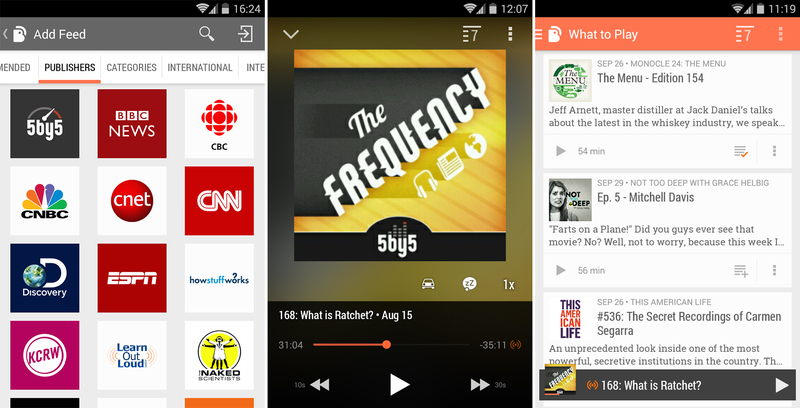 Case in point: BeyondPod, the go-to podcast manager. 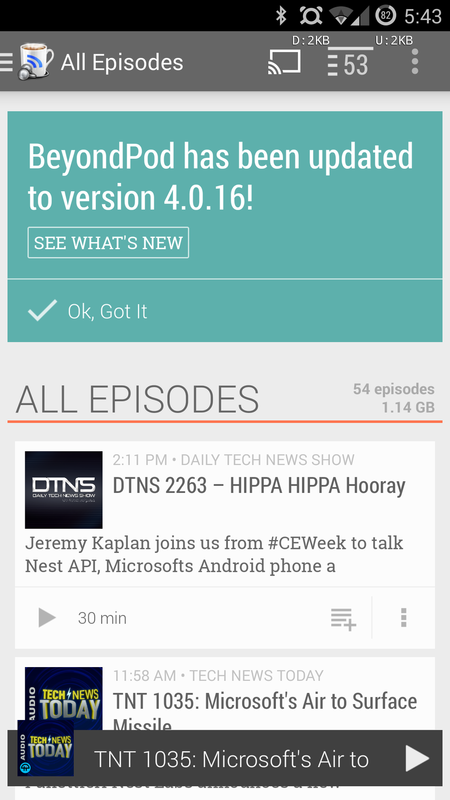 This weekend the developers posted new betas with support for Android M and Android Auto on their official forums. Notice the plural there: you can't get support for both M and Auto in the same app, at least not yet. 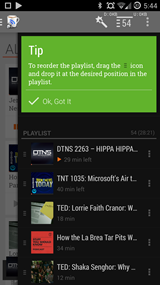 The 4.1 branch currently supports Android Auto head units, and the 4.2 branch supports the versions of the Android M Developer Preview that have been released so far. 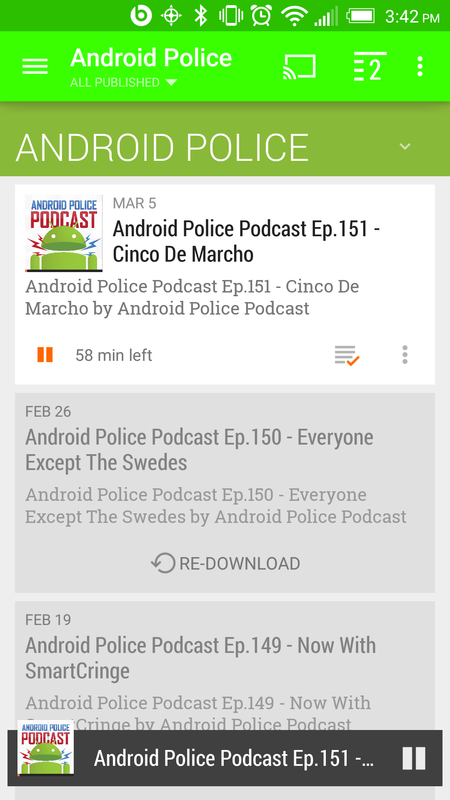 Android Auto is finally here! Sort of. 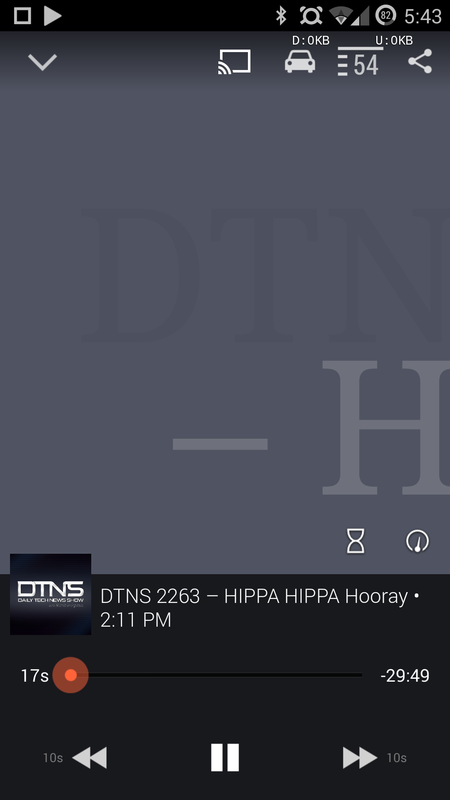 It's available in exactly one (incredibly expensive) car stereo at the moment, meaning that there are probably more active users of the Nexus Q right now. 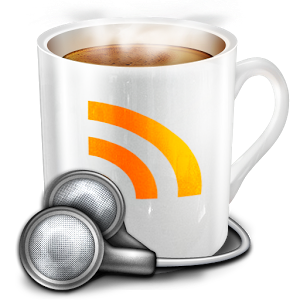 But that isn't stopping some responsible developers from adding the support for the new hardware into their apps, and today popular podcast manager BeyondPod joins them. 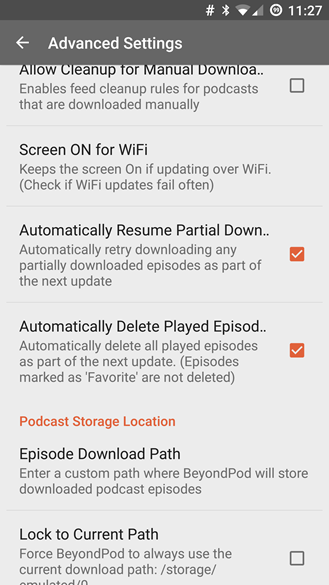 The latest beta version, available as a direct download or via the Play Store beta system, works with Google's automotive electronics push. I'd love to show you a photo of BeyondPod working with Android Auto, but of course I don't have one of those Pioneer head units or a compatible car. 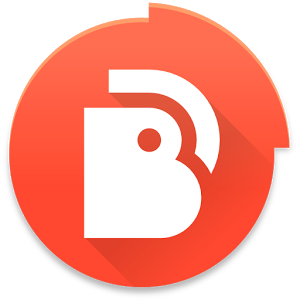 The BeyondPod team has recently rolled out its largest update since the big 4.0 transition, introducing a number of features to please longtime fans and Lollipop users alike. 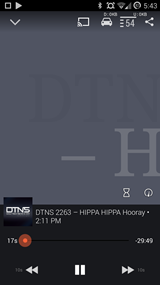 For the former, a dark theme has arrived, and while it isn't default like the old version of the podcast manager, it's available for folks who find the new standard look too bright. There's also the option to reduce card size, allowing you to fit more information on-screen at once. 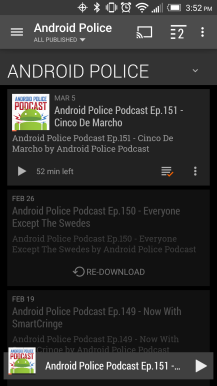 The BeyondPod experience is a colorful one, as the action bar changes to match each of your podcast categories. The default look is orange, but when I'm listening to the Android Police podcast, the app turns green (the color I've assigned all of my tech podcasts). 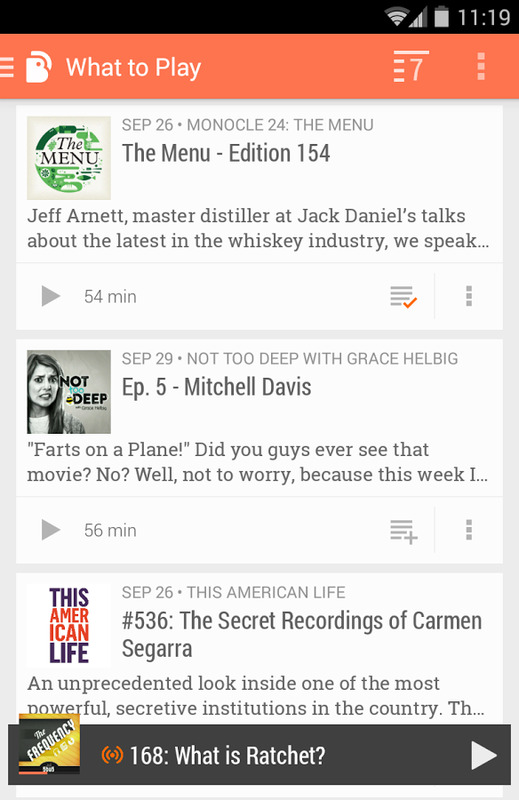 Podcast lovers take their listening hobby seriously. Just ask me. I got into the habit about 18 months ago and it has since become a bit of a daily addiction. 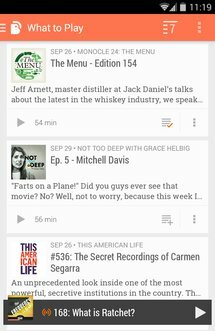 Whether I'm driving, walking, taking care of chores, shopping, or doing any other menial activity, there's a set of buds in my ears and one of dozens of podcasts playing through. 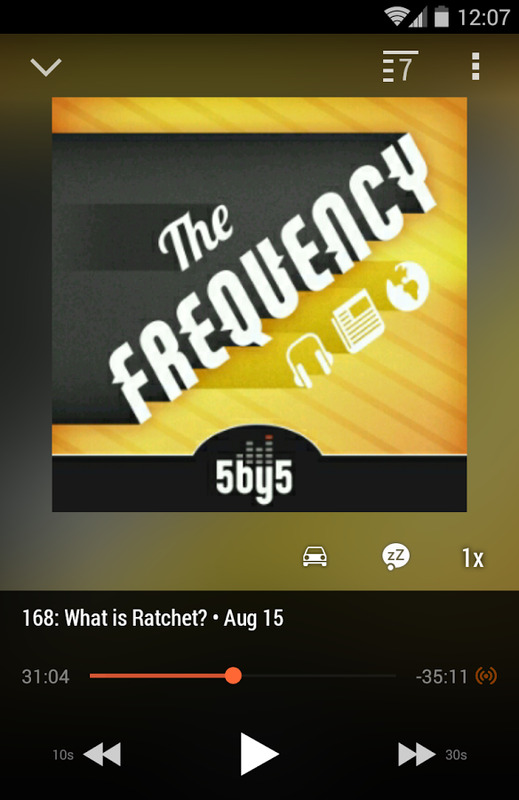 It makes for great entertainment and it can also be very educational. 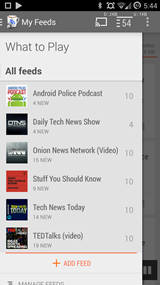 In terms of apps, I'm firmly rooted in the PocketCasts clan. But we're not here to talk about that app, so let's switch the channel to BeyondPod. 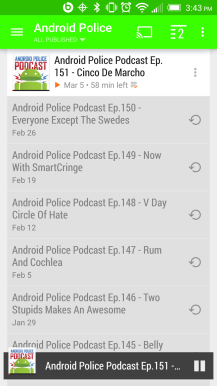 Version 4.0 of BeyondPod that has been in beta under the EVO tag for a couple of months just made it into the Play Store. 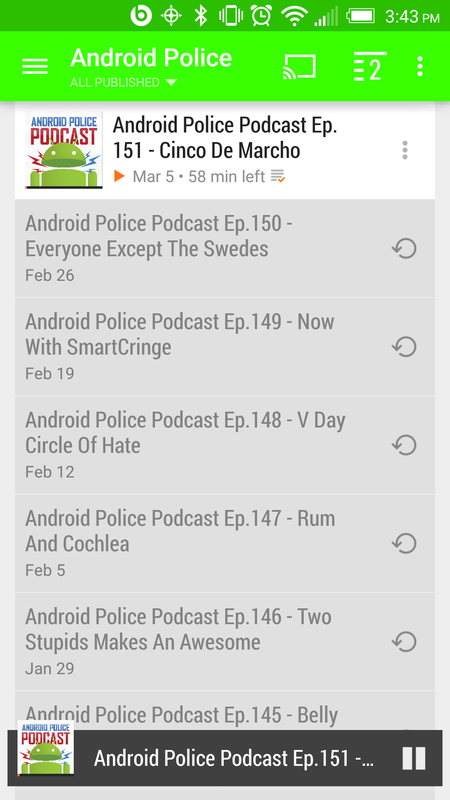 BeyondPod has long been one of the top Android podcast managers, but it was definitely not tops in the looks department. The current version is okay, but it could use a fresh coat of paint. The new 4.0 beta is getting more than that, though. BeyondPod 4.0 has been rebuilt from the ground up with a completely new UI and a new name to go with it. 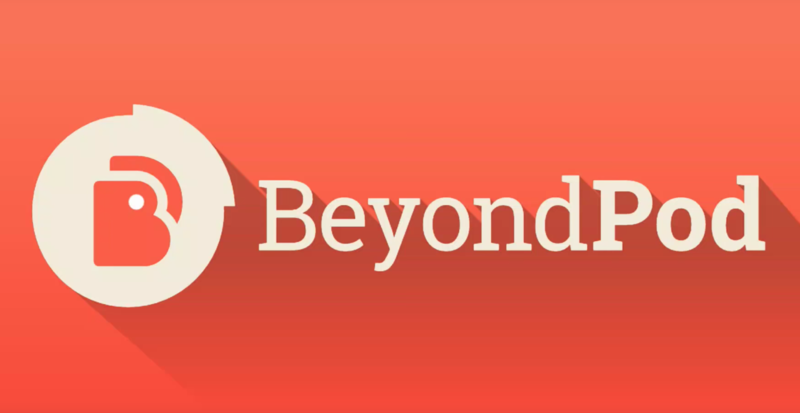 BeyondPod is BeyondPod EVO now. 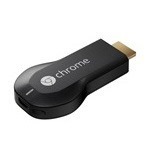 The Chromecast launched last summer with a lot of promise, but very limited app support. 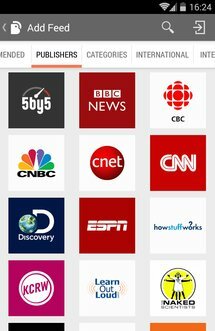 We've been limping along these last few months with only the occasional addition like Pandora and HBO Go to keep us going. Well, now the floodgates are beginning to open. Google just announced 10 new apps are launching with Chromecast support, and some of them are super-exciting.